SPERRY TOPSIDER. PG55416. INFANT BLUEFISH CRIB BOAT SHOE. 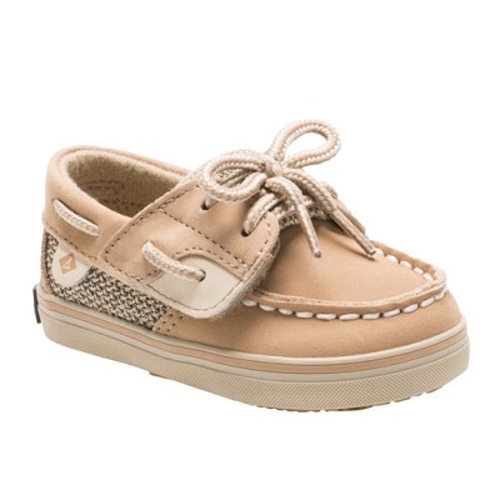 LINEN OAT.Finish off her adorable style with the new Bluefish Stripe Boat Shoe from Sperry Top-Sider These sweet little Bluefish Boat Shoes sport soft leather uppers with vibrant stripe printed side panels signature moc-toe stitching and adjustable hook-and-loop strap fasteners for easy slip-on and off.